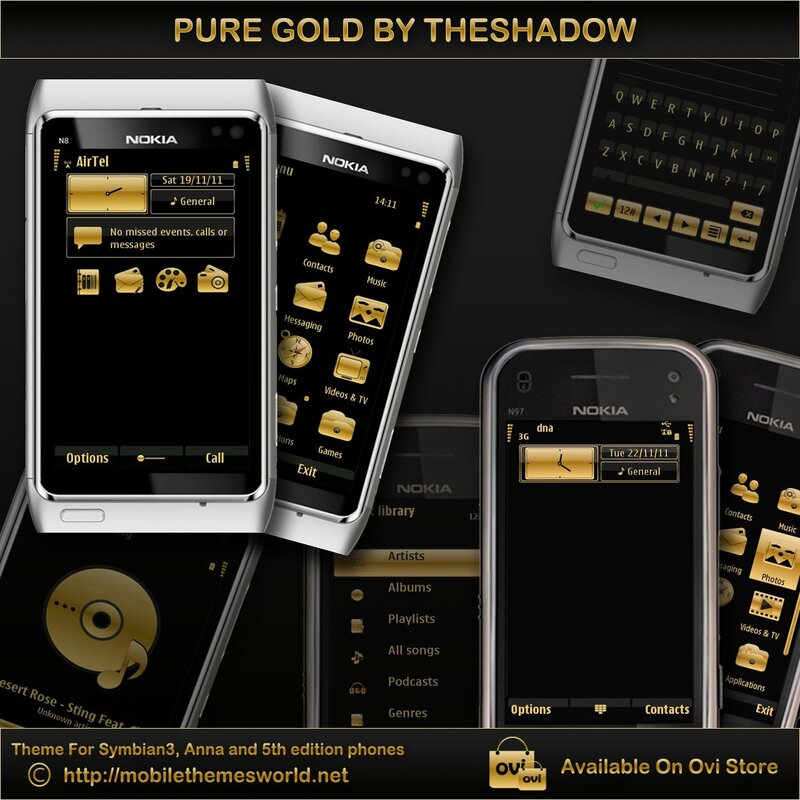 A new luxurious premium theme Pure Gold by TheShadow for Nokia Symbian mobile phones. 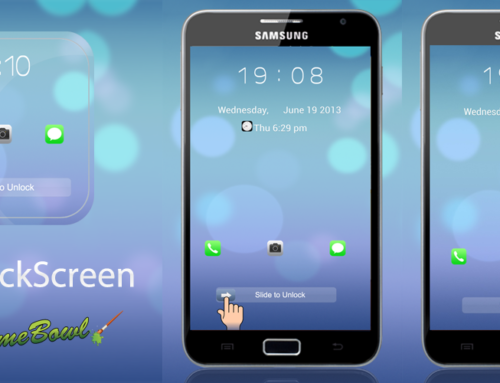 Note:Soon it will be available for all other devices. 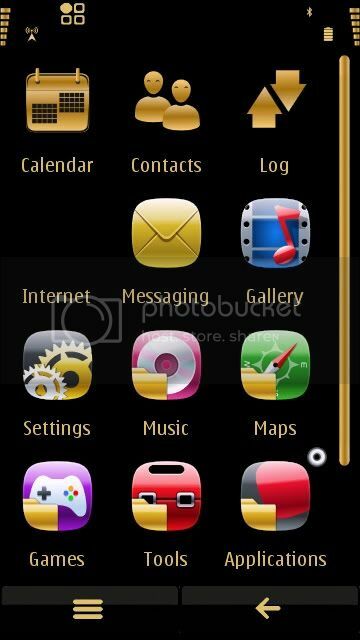 Hello bro, there is a bug in your theme Pure Gold for 5th phones. 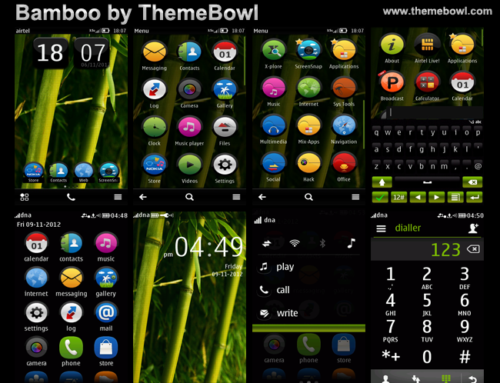 When I applied the theme, the icons looked weird. 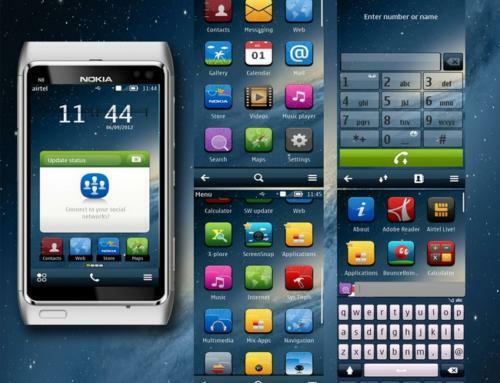 Some icons changed, some icons remained unchanged & some icons went missing. I have no idea what could be the problem.. Please help. 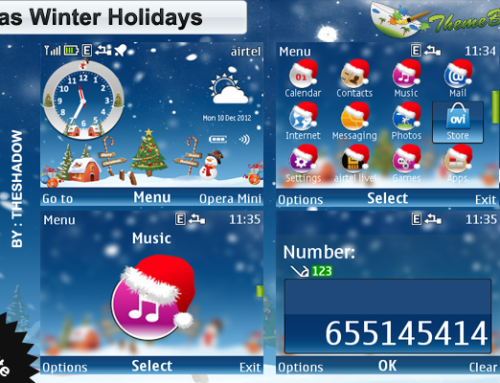 Hi,Thanks for the information.I have tested the theme with N97 it looks fine but i wonder why this error appears.By the way what’s your phone model?is it 5800.usually n97 themes works with 5800 too. 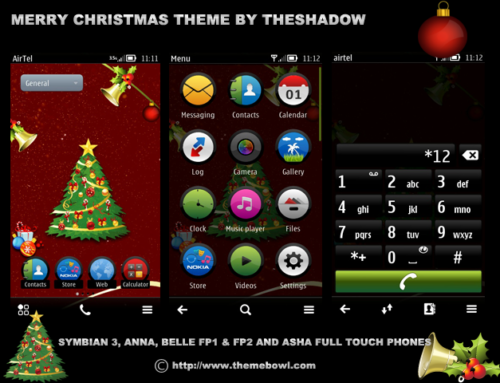 Hi,I tried to fix the error and tested in rda but unfortunately this error appears only on 5800xm phones.It might be due to firmware issue.i have made this theme same as other themes ie like on series themes.but sorry i don’t know what’s the cause of error.if you have purchased the theme please send me the payment information so that i will as ovi to return the amount.christmas theme will also be unavailable for 5800xm.it works well on n97.